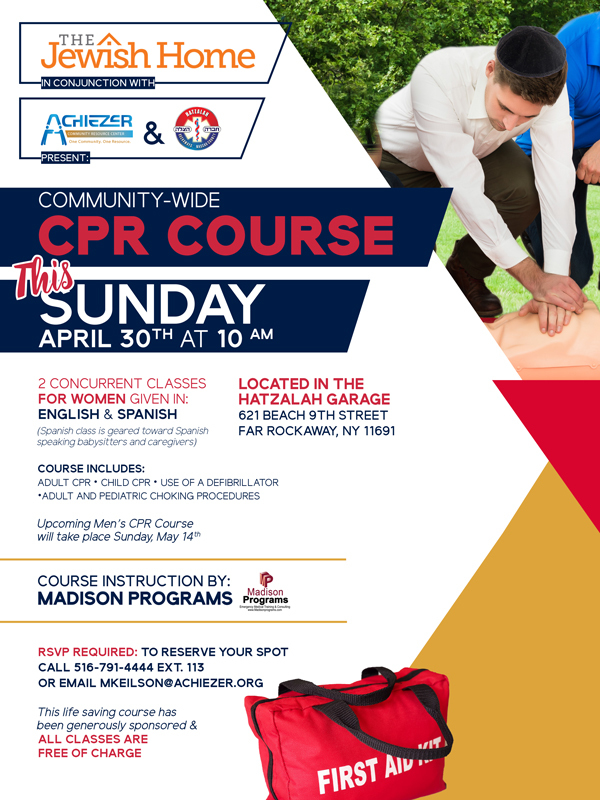 On Sunday morning April 30 2017, there will be a community-wide training series sponsored by The Jewish Home in conjunction with Achiezer and Hatzalah. Adult and child CPR and choking procedures will be taught to both women and Spanish speaking caregivers. The classes will take place at the Hatzalah garage located at 621 Beach 9th Street in Far Rockaway beginning at 10AM. A men's CPR course will be given IYH on Sunday, May 14, 2017. Further details to follow.